This story was originally published in our “Publishing in Canada” magazine, produced in cooperation with Livres Canada Books. Download the magazine here. More than 1.4 million people in Canada, or about 4 percent of the population, are part of the three Aboriginal groups in the country, according to the Canadian government. There are 630-plus First Nations communities representing more than 50 Nations from across the country. There are the Inuit, Aboriginal people of the Arctic who live in more than 50 communities in Canada. And there are the Métis, a people of mixed Indigenous and European ancestry who formed a distinct culture in the 18th and 19th centuries. 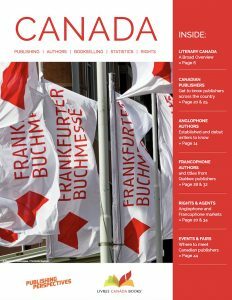 Today in Canada, more initiatives are underway to highlight the talents and skills of an engaged and robust community of Indigenous authors, illustrators, editors, publishers, and others. One of the best known Indigenous publishing houses in Canada is Theytus Books in Penticton, British Columbia. The company is owned and operated by Greg Younging, himself the author of the upcoming Elements of Indigenous Style (Brush Education). Waubgeshig Rice’s Midnight Sweatlodge (2011) from Theytus was a gold medalist in the international 2012 Independent Publisher Book Awards and a winner of the same year’s Northern Lit Award. And one of the best known representatives of Indigenous voices in Canada’s book industry is Cherie Dimaline. 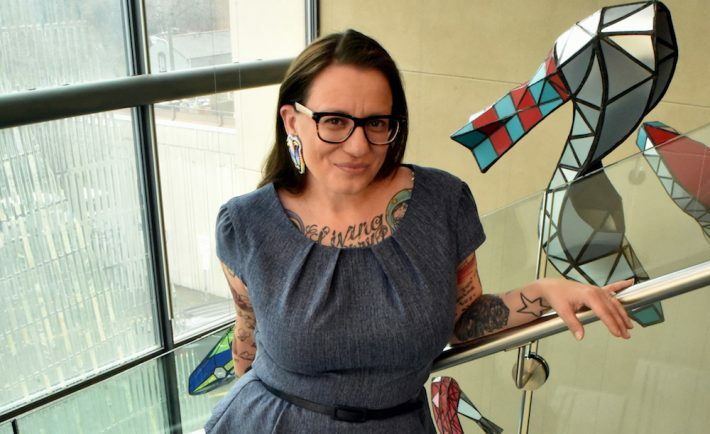 An award-winning author and editor from the Georgian Bay Métis community, Dimaline is also executive director of The RIEL Centre, which reflects a groundswell of interest in Indigenous storytelling today. 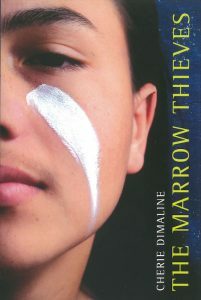 ‘The Marrow Thieves’ by Cherie Dimaline won the 2017 Governor General’s Award for Young People’s Literature. Dimaline’s books include Red Rooms (2007) and The Girl Who Drew a Galaxy (2013), published by Younging’s Theytus Books, and this year’s The Marrow Thieves, published by Dancing Cat Books and one of the recently announced winners of the 2017 Governor General’s Literary Awards. In 2014, Dimaline was named Emerging Artist of the Year at the Ontario Premier’s Award for Excellence in the Arts. And she is the first writer in residence for Aboriginal literature at the Toronto Public Library. 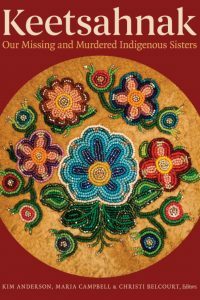 Publishing Perspectives asked Dimaline to share her vision of the oral and written traditions that Aboriginal cultures in Canada are bringing to the publishing industry and to readers. Publishing Perspectives: What are some of the challenges of Indigenous talents working in publishing? Cherie Dimaline: In conversations with Indigenous publishers, I’ve seen that trying to balance community stories and the requirements of being viable in the marketplace is always a concern. And like most publishers, resources are always at a premium. PP: There are more than 600 First Nations communities in Canada, in addition to Inuit and Métis settlements. How is diversity perceived and understood within Indigenous cultures? CD: It’s imperative when we tell stories in an Indigenous context that we’re in connection to the nation(s) that we’re speaking of—or speaking on behalf of—even in fiction. I belong to the Métis Nation on the Georgian Bay. We used to live on Drummond Island and were then forcibly removed—when the island was being annexed to the US—to the shores of the bay across from the town of Penetanguishene. That land then became very valuable as “cottage country.” We’re only one-and-a-half hours from Toronto with its wealthy weekenders. And we were moved again, away from the water. Now we largely reside in the French/Métis town of LaFontaine, just up the road, on less valuable land. These removals and relocations of a culture are specific to my community, although experienced in different ways by all Indigenous people. It’s part of our stories. And it’s a huge piece of why we share stories and keep that history intact, just as we’ve kept our culture intact. There must always be connection to nation when we tell stories. Taking a pan-Indigenous approach doesn’t work. Taking a colonial viewpoint doesn’t work. This changes the narrative of specific nations and is highly problematic. It leads to misunderstanding, misrepresentation, and stereotypes. PP: Can you describe or pinpoint the readership for First Nations writing? CD: My primary readership is Indigenous readers, but I’ve enjoyed a wide readership, particularly with my latest book, a YA dystopian novel called The Marrow Thieves. I write what I understand and what fascinates and comforts me from within a place of knowing. I’m not sure that when I set out to write that I have a particular readership in mind, but I’m always really grateful when both Indigenous and non-Indigenous people pick up the work. We need better educated and positioned allies, and literature is one way to make this happen. Indigenous literature has been gathering wider audiences, and I think that has a lot to do with readers finally having access to the beautiful stories of Indigenous people—and that has a lot to do with all publishers realizing the value and place of our stories. PP: How important are awards? Are juries equipped to fairly evaluate submissions from Indigenous authors? CD: Awards are incredibly important in literature for a few reasons. Recognition and the associated marketing will translate into sales. And awards open doors into other communities and countries for the writers. There’s also the value of prizes that come with purses for the under-appreciated writer! To this I say, by whose standards are we judging? Who are the judges and where does their understanding of “the best literature” come from? The best way to ensure awards juries are equipped and inclusive it to make sure they’re diverse themselves, particularly when it comes to the fundamental understanding of global and Indigenous literatures—our histories, worldviews, narratives, and formats. 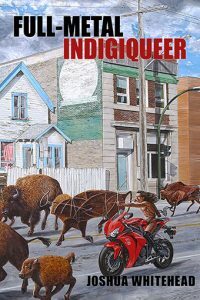 PP: There’s a sense that Indigenous publishing and Indigenous authors are having their time—that there’s been a perceptible shift and that works by Indigenous writers are now in the mainstream, not in a niche or category. Would you say this is the case? CD: I would say that globally, readers and the industry that has been built around them are becoming privy to our stories and the skill in which they’re told and preserved. We’re going through a pretty brutal learning curve right now because Indigenous literature is unlike any other, and the rules are different. It’s why we’re having to call out writers and stories that are harmful or that misrepresent. The resulting skirmishes over “free speech” and “appropriation” were bound to happen since this is new territory to the publishing world and there’s no precedent. Many of our stories are ceremony, history, teachings, and cannot be mishandled. We are a generous people and [we] share, but [our stories are] not out there to be “cherry picked” and morphed. PP: Do Indigenous authors look forward to a time when they are not “Indigenous” but just “authors?” Or is it important to retain these identities? CD: Because we are the people of story, it is a great honor for me to be called a Métis writer. It denotes a title, an honor, and a certain knowledge. In fact, I feel demoted when I’m referred to as only a Canadian writer. My community has struggled and survived, and I’m enormously proud to be able to carry our voices forward. I can’t speak for every writer, but for myself, I am a writer. But being called an Indigenous author is like having a PhD at the end of your signature. With regard to staying true to protocols around community ownership and dissemination, that has never “had its time.” It’s how we’ve survived genocide. It’s how we still have our languages and our ceremonies and our distinct cultures. In terms of writing stories, we are all welcome to write our own narratives and tell our own tales. I just wrote a book about the future. What we bring into all our works, no matter what the time frame or subject, is a community-specific worldview and understanding of story. We write the unknown, but we come at it from within an Indigenous worldview and perspective. Among the many Indigenous authors working in Canada today, we’ve selected several highlights. Here are just a few standout titles and authors. You can learn more about Indigenous writing from publishers like Theytus Books, and from organizations like The RIEL Centre. 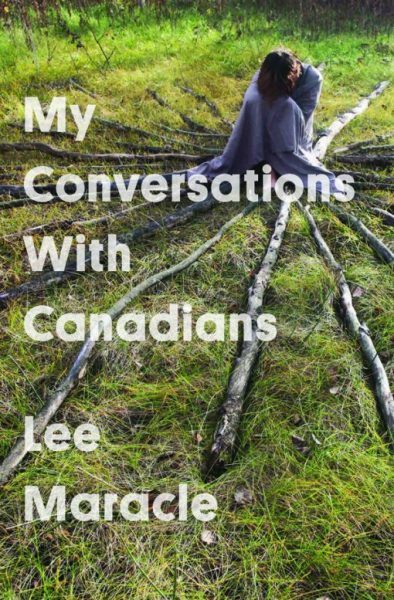 Lee Maracle is a prolific writer whose original work becomes more relevant with time, while her new writing continues to shine. She is an award-winning author of novels, short stories, collaborative anthologies, and is founder of the En’owkin International School of Writing and and the cultural director of the Centre for Indigenous Theatre in Toronto. In 1973, Maria Campbell released her most famous work, the memoir Half-Breed, and gave voice to the Métis people. Since then, she has blazed a trail though a variety of media including literature, theater, radio, and film. Her use of language and traditional stories were groundbreaking and paved the way for grassroots Indigenous literature. Poet Joshua Whitehead writes with a clear voice. He speaks to a history and reality that are both familial and relational. His work delves into generational love and trauma and adds a necessary perspective with mastery and grace. Also forthcoming from Joshua Whitehead is his YA novel, Jonny Appleseed (Arsenal Pulp Press, April 2018). 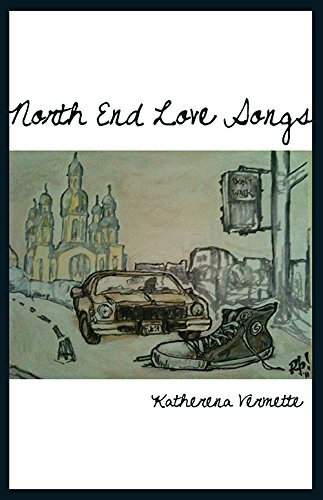 Katherena Vermette’s first book of poetry, North End Love Songs, nabbed the Governor General’s Award for poetry in 2013. Her first novel, The Break (House of Anansi Press, 2016), won, among others prizes, the Amazon.ca First Novel Award. Vermette’s short documentary film, This River, was produced for the National Film Board and won a 2017 Canadian Screen Award. She’s an astounding storyteller. Gregory Younging spent years editing and promoting the work of Indigenous writers as the publisher of Theytus Books, Canada’s oldest Indigenous press. 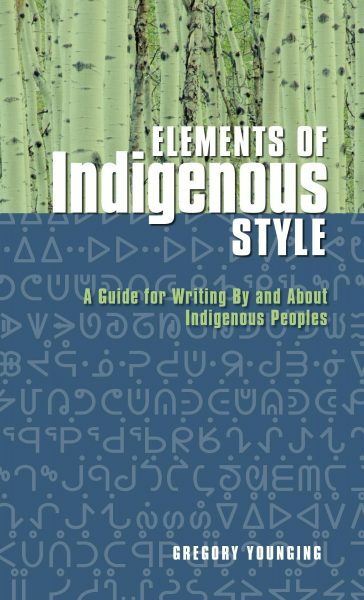 Now he’s releasing a remarkable collection of thought, instruction, and guidance—Elements of Indigenous Style—to help writers, editors, and publishers produce material that reflects Indigenous people in an appropriate and respectful manner. It’s especially timely given recent discussions about legitimacy and approporiation. 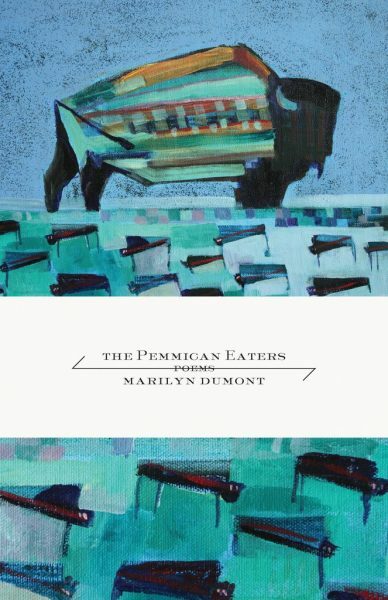 Marilyn Dumont’s poetry is orchestral in reach and volume. She has been one of the most powerful and unique voices in North American poetry for decades. Dumont crafts narratives and imagery with uncommon skill. She remains an important figure in Indigenous literature for both her talent and her mentorship. There’s more on the 2017 Governor General’s Awards, announced on Wednesday (November 1) in Publishing Perspectives’ coverage here.